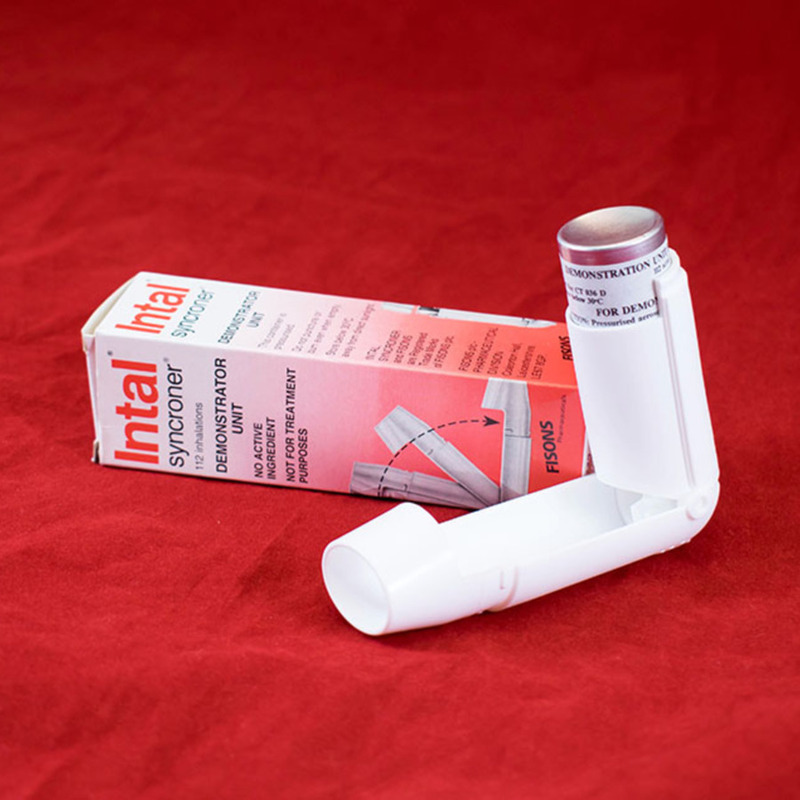 Metered-dose inhaler (MDI). 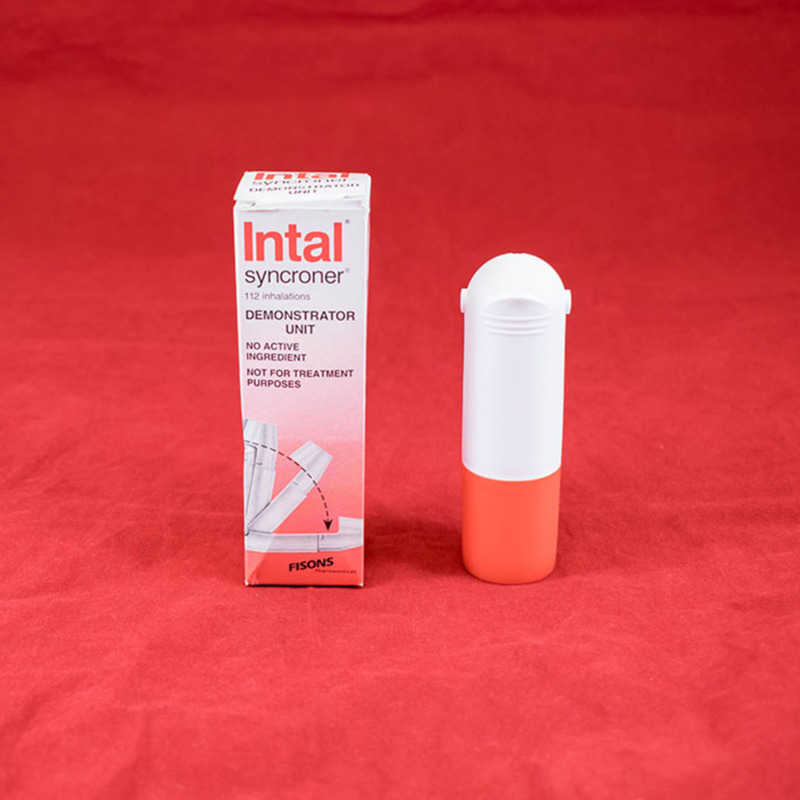 Demonstrator unit in cardboard box. 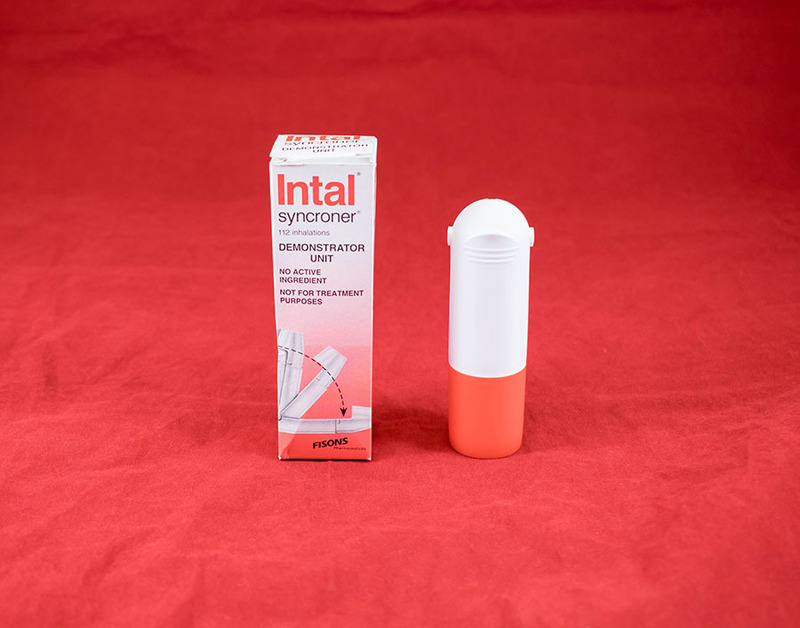 Fisons Pharmaceuticals; 1843-1995; Pharmaceutical company, “Intal syncroner inhaler,” Heritage, accessed April 20, 2019, https://heritage.rcpsg.ac.uk/items/show/1056. 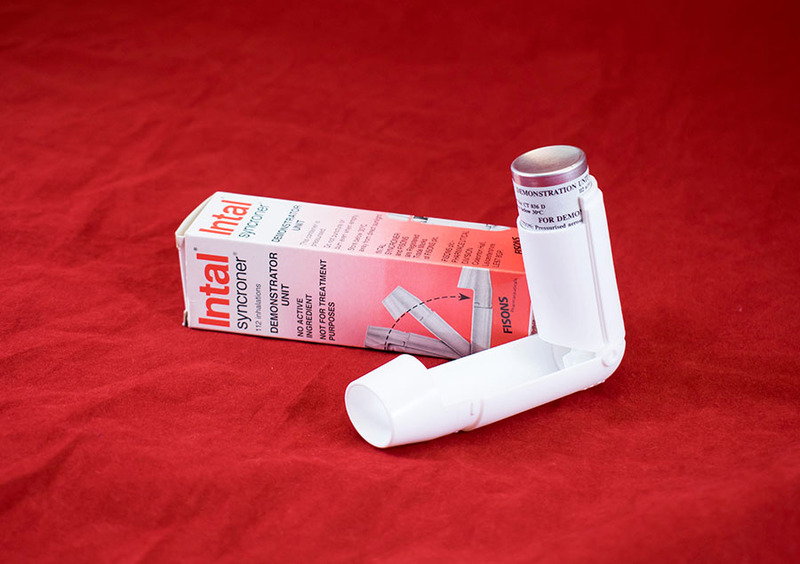 Description: Metered-dose inhaler (MDI). Demonstrator unit in cardboard box.